When I started eating clean, I thought fudge was out of my reach. Boy was I wrong! 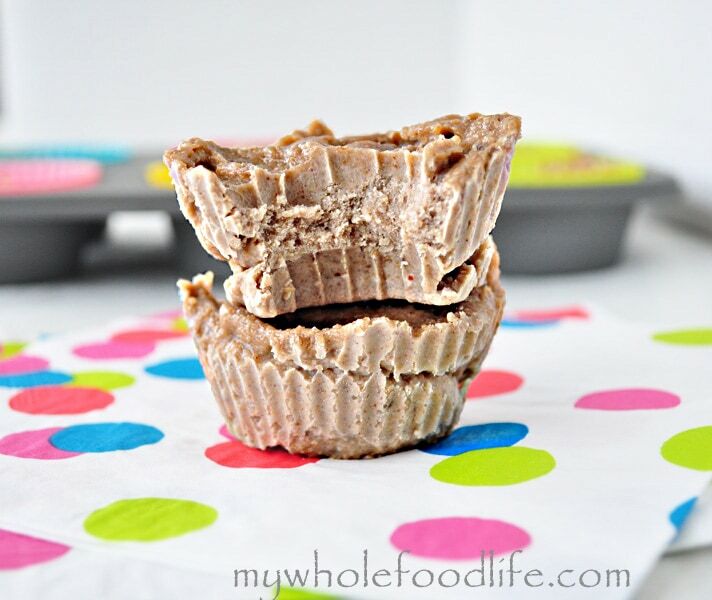 This banana walnut freezer fudge is amazing! I have to be honest here, I am actually not a huge fan of walnuts. That is why you don’t see me use them in a lot of recipes. However, walnut butter is the bomb. So I made some to use in the banana walnut freezer fudge. Can you believe there is only 3 tablespoons of sugar in the entire batch of fudge? I swear it’s true. If you use a super ripe banana, your freezer fudge will be plenty sweet. A melt in your mouth treat with very little sugar. In a food processor , grind up the walnuts for about 2 minutes. Once you see the mixture start to clump together, add in the remaining ingredients. Spoon mixture into lined muffin pans. I used standard size. Be careful. The mixture is very sticky. Stick the muffin pans in the freezer for a couple hours to firm up. These need to be kept in the freezer to remain firm enough. They should last for several weeks if not more. Oh yum! This looks so good! Bananas and walnuts are a match made in heaven! Could you use frozen ripe bananas? I think that might work too. If you try, please let me know the results. So, do you eat them frozen??? Yes. They are not frozen solid though. They have a similar consistency as a fudgsicle. Thanks! I hope you enjoy the recipes! Can I leave out the maple syrup? I think you probably could. Let me know the results. Did you try without the syrup? Wondering how it turned out? Yay! Glad you liked it! One of my favorite recipes! So glad you asked I was wondering the same about the "T"
I don't suppose this would work without the nuts? I really hate nuts, especially walnuts. You can try it with sunflower seeds. I am allergic to nuts and would like to use sunbutter. How much do you recommend? 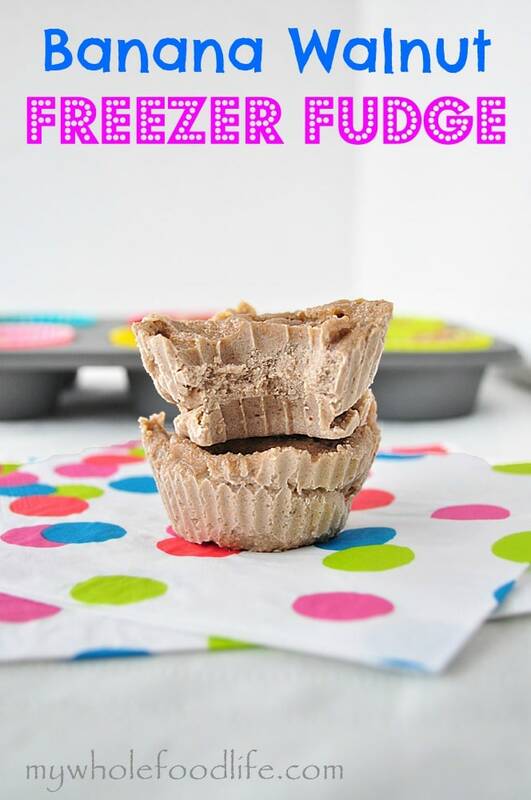 Pingback: Banana Walnut Cinnamon Freezer Fudge. [raw!] | Farm to Table Life. I replaced half of the walnuts with pecans and it turned out great. Thanks! I don't have maple syrup on hand. Is there anything else you can substitute? I am going to make this tonight! I may add a tablespoon or two of cocoa powder! I just wanted to finally leave a message and tell you how wonderful these are. I've made them at least 10 times now! They are perfect. Thanks for a great recipe.